Mirrored furniture has been trending for a couple of years now. 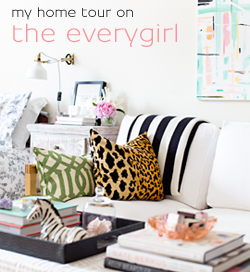 I love these kinds of pieces because they add sparkle and glamour to any room, without taking up any visual space. Because they reflect everything around them, they almost read as invisible to the eye. When Leon's asked if I would style one of their lovely mirrored side tables in 3 different ways, I jumped at the opportunity! 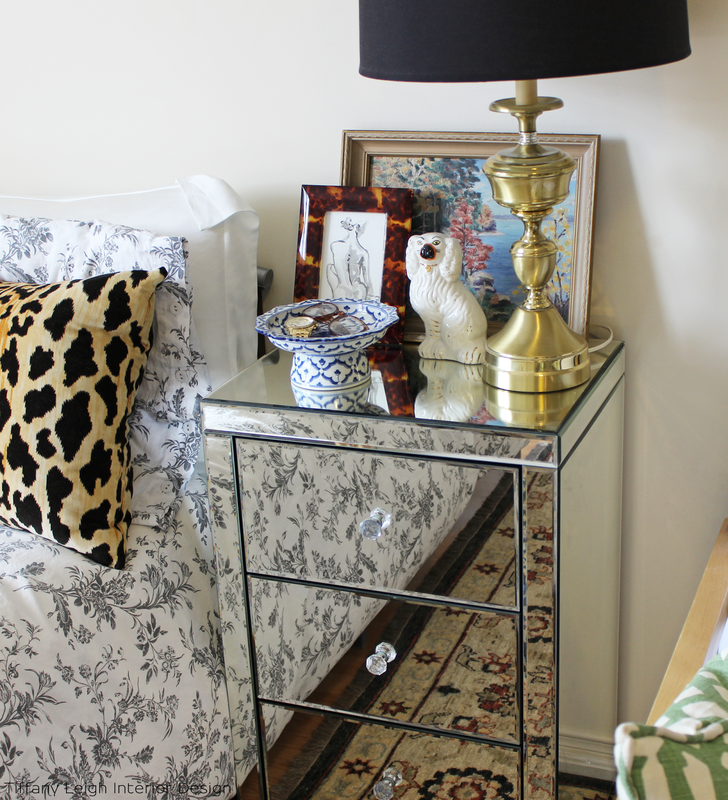 I wanted to show you all just how versatile a piece of mirrored furniture can be! 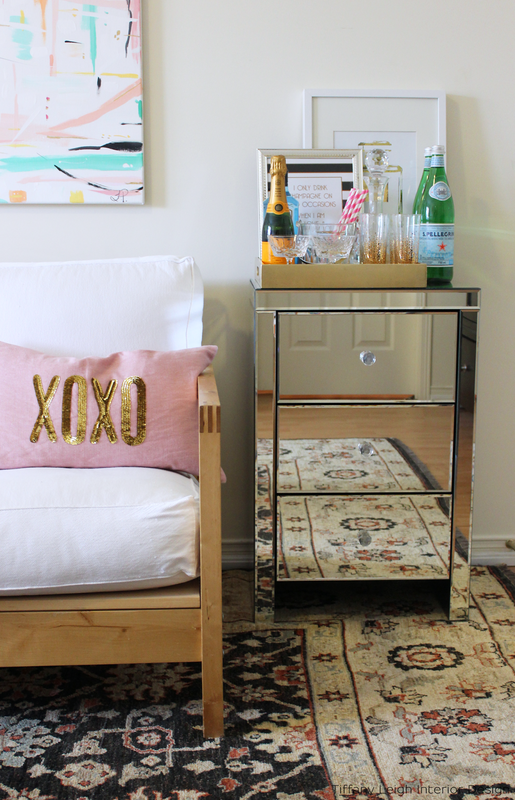 Play up the sparkle factor of the mirrored piece by transforming it into an alternative bar cart. 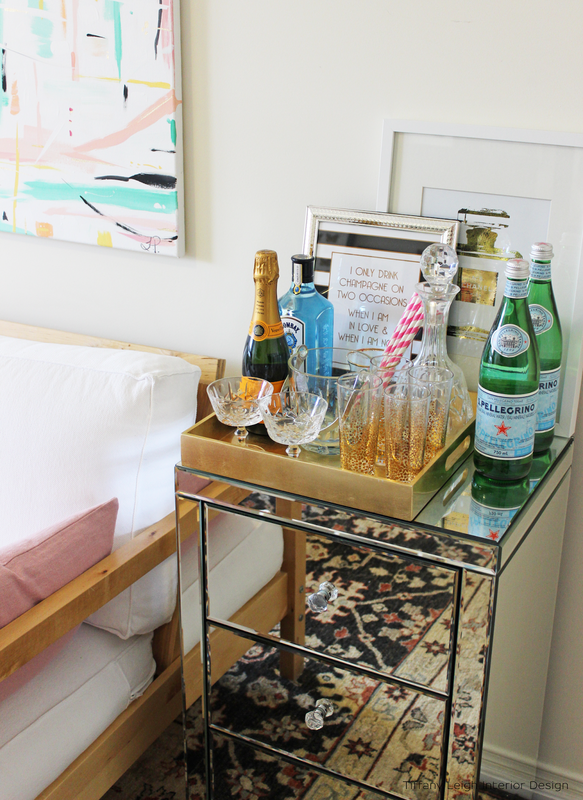 Add a gold tray, sparkling crystal and glassware, and some fun colorful liqueurs and accessories. The beauty of mirror is that it is virtually colorless. 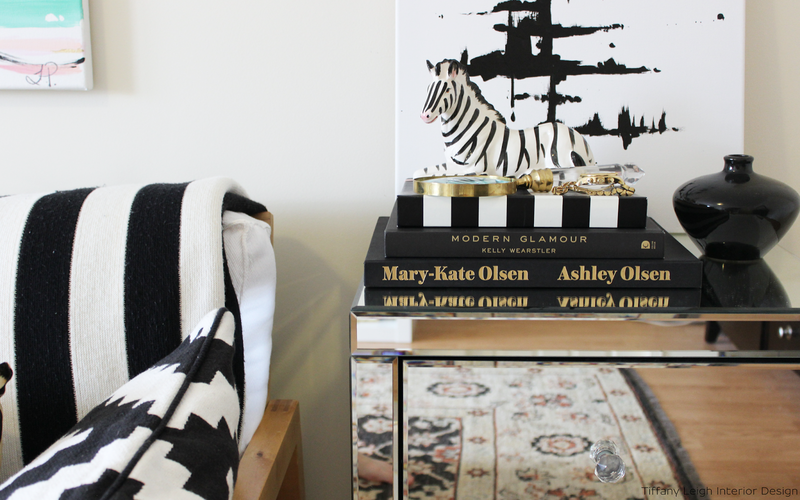 Unlike Style # 1 where I added in fun colour, here I opted to play up the monochromatic scheme instead by sticking to all black and white accessories and decor. As many of you know, black, white and gold is my favourite colour scheme right now. It is true that mirrored furniture, especially the clean lines of this specific piece, tend to read more modern and contemporary. 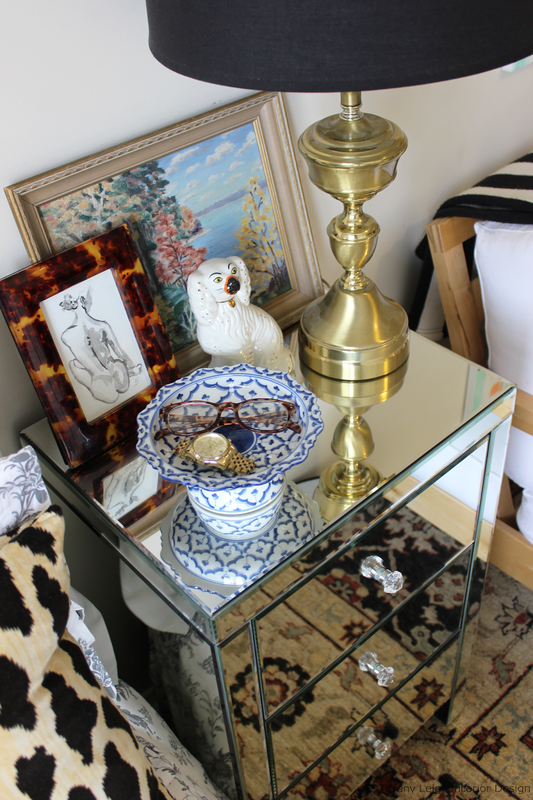 I love a little juxtaposition in my decor, so I decided to playfully contrast the piece's inherent modernity with a some more traditional, country estate-esque styling. And there you have it! 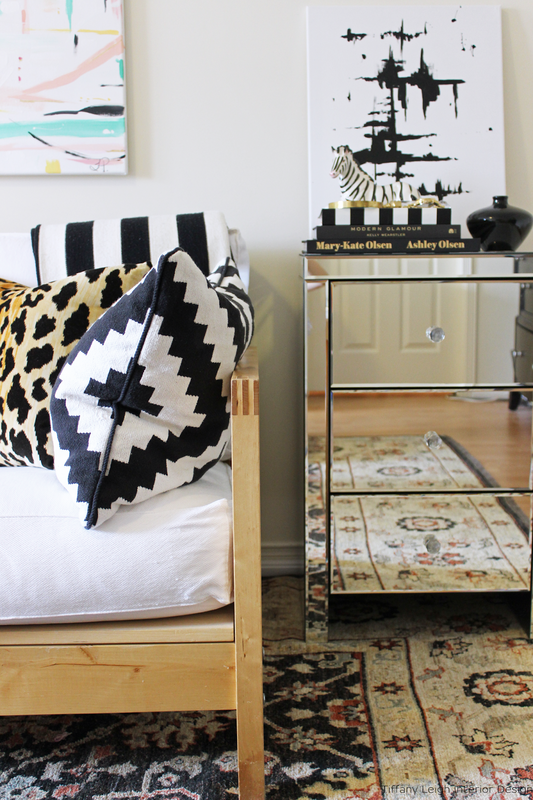 Three different looks to show you that mirrored furniture can work with pretty much any decor style. Have I convinced you? Let me know which is your favourite in the comments! The Leon's in downtown Toronto where I picked up my mirrored side table is at one of the coolest locations, right by the Rogers center. They call it Leon's Roundhouse because it is located in the old train station round house, so it's got a lot of history and caters to downtown condo dwellers. 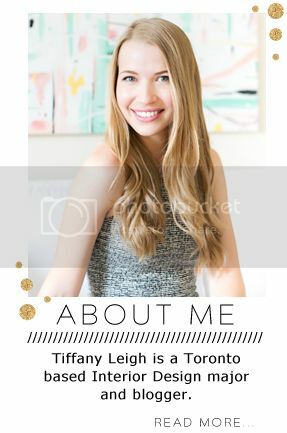 A big thanks to my friends at Leon's for partnering with me on this fun project! Love that piece. Especially in a small space. Genius. BLACK/WHITE/ AND MIRRORED PIECES! THE BEST! YOU ARE SO , SO CORRECT. I HAVE A DESK, ROUND 24" END TABLE AND TWO BEDSIDE TABLES. ALL HAVE BEEN USED IN DIFFERENT WAYS!!!! THE DESK AND ROUND TABLE ARE NOW MY BEDSIDE TABLES AND THE "BEDSIDE" TABLES ARE PRESENTLY UNDER WINDOWS IN THE GREAT ROOM ON EITHER SIDE OF THE FRENCH DOORS. THEY JUST SIMPLY GO EVERYWHERE!!!! 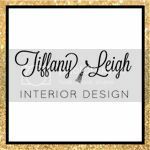 I love black and white and gold color scheme too, it's so modern and sophisticated I think! All three styles were super nice! The mirror cabinet looked so modern and classy. Its reflection complements the design of the room and the color detail looks perfect.